Will there be a sequel to M Night Shyamalan's 'Glass' movie? 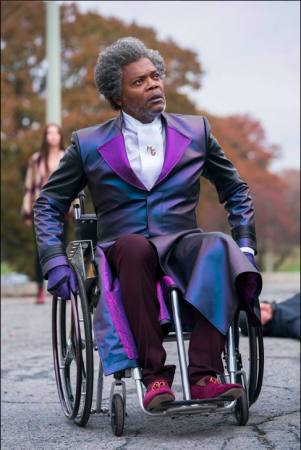 M. Night Shyamalan's Glass movie trailer has already created a lot of hype and just like Avengers: Endgame, there are several fans who simply cannot wait to watch this superhero movie in theatres. M Night Shyamalan is all geared up for his upcoming movie, Glass. The movie trailer has already created a lot of hype and just like Avengers: Endgame, there are several fans who simply cannot wait to watch this superhero movie in theatres. The upcoming Glass movie is the third film in the franchise that started with 2000's Unbreakable. After the release of two trailers of Glass movie, there are several superhero movie fans who are now watching the first two parts in the trilogy, which were not that successful upon their subsequent release. While speaking with Digital Spy, Shyamalan talked about his upcoming Glass movie and stated why he is not planning to turn it into a sequel. "I don't want to relive stuff and I don't want to be an opportunist, that's not the relationship that I have with the audience, that I aspire to," the acclaimed filmmaker said. "My aspiration is they know they're going to get an original thriller every single time. That's where my tastes go, so I'm going to say no [to another movie] right now." Shyamalan further stated that unlike other movies, his Glass movie is very much grounded in reality and noted that the goal is that it's always explained. "Each of the movies, we take a little bit of privilege, but not so much that anybody's flying or there's lasers or fire coming out of your hand. Can you bend an iron pipe? I'm not sure, I don't know. I think I've seen a weightlifter do that, so it's right on the edge of those things," he noted. The upcoming Glass movie will show how M. Night Shyamalan's Unbreakable and Split will finally collide. The upcoming movie will feature David Dunn (Bruce Willis), who will be chasing after The Beast (James McAvoy). Both these characters were previously featured in Unbreakable and Split respectively. Apart from this, the film will showcase the brilliant mind of Mr. Glass (Samuel L. Jackson), who will be shown planning something that will bring out the superheroes and super villains out in open. "Following the conclusion of Split, David Dunn pursues Kevin Wendell Crumb's superhuman persona of The Beast in a series of escalating encounters while the shadowy presence of Elijah Price, going by Mr. Glass, emerges as an orchestrator who holds secrets critical to both men." Glass movie is scheduled to release in cinemas on January 18, 2019.